New Delhi : Former Delhi Chief Minister and BJP leader Madan Lal Khurana, who passed away on Saturday here at his residence at age 82, was on Sunday cremated here on Sunday. Vice President M. Venkaiah Naidu, BJP leader L.K. Advani and Union Ministers Arun Jaitley, Rajnath Singh, Sushma Swaraj, Harsh Vardhan, Ravi Shankar Prasad and Vijay Goel were among those present at the cremation at Nigam Bodh Ghat. Delhi Chief Minister Arvind Kejriwal, Lt Governor Anil Baijal and thousands of BJP workers also paid homage to Khurana, who was also a Governor of Rajasthan and a Union Minister. Khurana's body was kept at the Delhi Bharatiya Janata Party office on Pandit Pant Marg for people to pay their last respects before his cremation. Tributes poured in from leaders of several parties. President Ram Nath Kovind tweeted that Khurana contributed immensely to public life and particularly to the well-being of the national capital and its people. 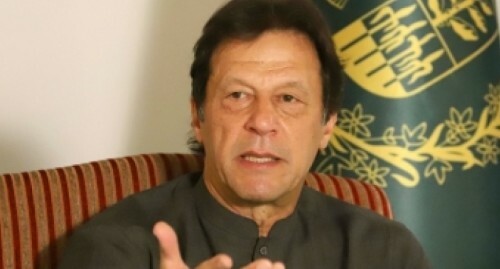 Prime Minister Narendra Modi praised Khurana for his work towards rehabilitating refugees from the 1947 partition and called him an "able administrator". "Khuranaji will always be remembered for the manner in which he strengthened the BJP in Delhi. He made unwavering efforts towards serving the post-partition refugees in Delhi." Finance Minister Arun Jaitley remembered Khurana's underground work during Emergency. The Delhi government on Sunday declared a two-day state mourning as a mark of tribute to Khurana. "We all are deeply saddened to hear the demise of veteran leader and former CM of Delhi Khuranaji. As a mark of respect to the departed soul, state mourning shall be observed by the Delhi government for two days," Delhi Deputy Chief Minister Manish Sisodia tweeted. Baijal and Kejriwal also expressed condolences. "Extremely saddened to learn about the demise... He will be remembered by all for his contribution to the development of Delhi," Baijal wrote. West Bengal Chief Minister Mamata Banerjee said: "Saddened at the passing away of Khuranaji." Born on October 15, 1936, Khurana was Chief Minister of Delhi from 1993 to 1996. He resigned amid controversy vis-a-vis a hawala scandal. Khurana also served as Parliamentary Affairs and Tourism Minister in the Atal Bihari Vajpayee government. He is survived by his wife, a son and two daughters. He was suffering from a chest infection and fever from the last few days. "He was feeling breathless since Saturday morning," his son Harish Khurana said. Khurana was appointed the Rajasthan Governor in January 2004 but resigned from the post and joined active politics in October that year. The four-time MP also headed the BJP's Delhi unit and was a former national Vice President of the party.